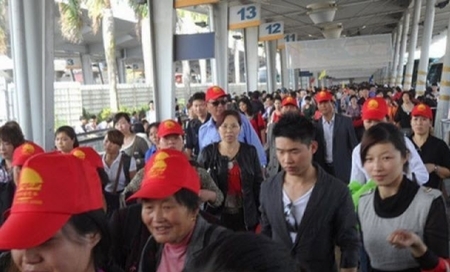 BANGKOK, March 11 – Caretaker Tourism Minister Somsak Pureesrisak said on Tuesday that he supports lifting of an emergency decree which has been enforced to handle with the anti-government demonstrations following a sharp drop in foreign arrivals. The caretaker minister commented as the government is considering lifting the two-month state of emergency imposed in Bangkok and some parts of its adjacent provinces which is due to expire March 23. He said, during the past two months, the number of arrivals was at 45,000 persons per day, down from 70,000 persons year-on-year. Lifting the special law will be good for Thailand’s tourism, said the minister. The country should benefit from this high season period when tourists usually avoid other countries which are facing turbulent weather. Regarding reports on imposters travelling with the missing Malaysia Airlines jet found to have used passports stolen in Thailand during motorbike rentals, the minister said that the using passports as a deposit for the rental is unlawful and the copies of the documents should be sufficient. Earlier Italian national Luigi Maraldi, whose name appeared on the MH370 flight, met with Thai police yesterday. He said that his passport was stolen when he left it as a deposit guarantee at a motorcycle rental company in Phuket. Mr Somsak said he discussed with caretaker Transport Minister Chadchart Sittipunt on the issue which he said must be addressed.